‘The Killing’ star Joel Kinnaman gets ultra-modern upgrade to play cyborg crime fighter. RoboCop is back in black as the first trailer for Sony and director Jose Padilha's RoboCop reboot has made its explosive debut and takes the original's campy concept quite seriously. Joel Kinnaman (The Killing) stars as officer Alex Murphy, a dedicated public servant working in 2028 Detroit City where corruption is rampant. To boost their bottom line, OmniCorp decides its time to bring their military hardware to the homeland. A perfect candidate for a half-machine, half-man "RoboCop" surfaces when Murphy is critically injured opening up his car door. In the original RoboCop, Murphy (Alex Murphy) was killed in action with little of his human body left to salvage. For the remake, Murphy is still alive after being the victim of a car bomb and his entire left arm is salvaged for the RoboCop program. At least its there when his wife is presented with the chance to "save him," and the fleshy hand is on RoboCop himself. 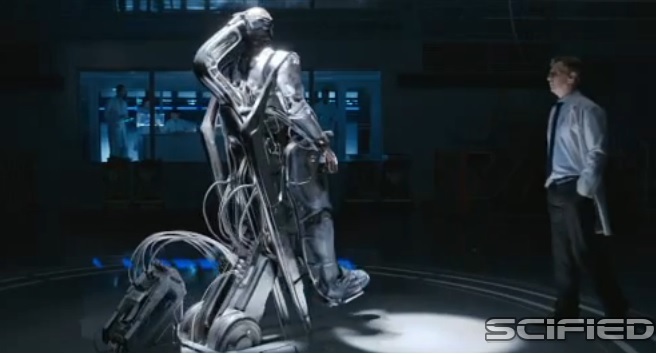 Padilha pays homage to the original RoboCop in numerous ways scattered throughout the trailer, starting with an original design that closely mimics the suit worn by Peter Weller. An OmniCorp executive played by Michael Keaton recommends the armor be upgraded to military black, and as a result RoboCop ends up looking a heck of a lot like a cross between Batman and Iron Man. There's an unwritten rule in remakes that a catchphrase from the original makes it into the update. I'm not a fan of the practice, but this new RoboCop trailers ends with the infamous line, "dead or alive, you're coming with me." The bigger question for potential moviegoers is, "would you buy this ticket for $10?" 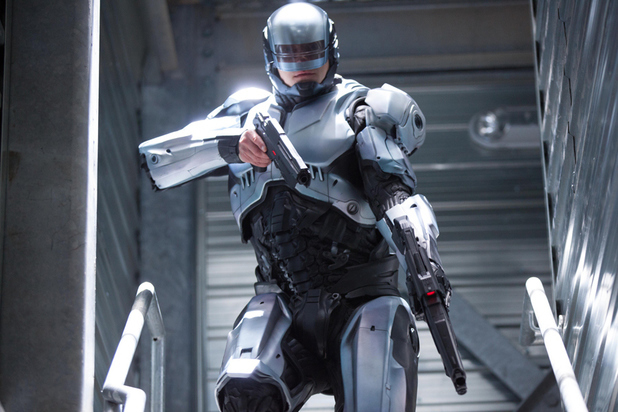 Sony is releasing RoboCop on February 7, 2014. The film also stars Gary Oldman, Abbie Cornish, Jackie Earle Haley, Michael K. Williams, Jennifer Ehle, Jay Baruchel, Marianne Jean-Baptiste, and Samuel L. Jackson. Sadly it is rated PG-13 and not a hard R like the original.